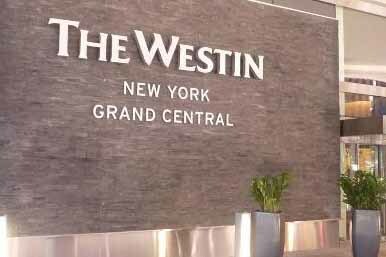 Starwood Hotels & Resorts Worldwide has opened The Westin New York Grand Central. The 774-room hotel opens in the former New York Helmsley Hotel after the completion of a £47m ($75m) renovation. The Westin brand’s second Manhattan property features a complete redesign of the hotel’s interior, and includes more than 1,100sqm of meeting space. Its expanded ballroom is 392sqm and has sweeping city views for up to 450 guests, while each of its three meeting rooms can accommodate up to 100 delegates theatre-style. A further four break-out rooms can hold between 17 and 25 delegates, and there are also three pre-function event spaces and a business centre. The hotel was opened by Mayor Michael R. Bloomberg, Westin Hotels’ global brand leader Brian Povinelli, and the hotel's general manager Ed Maynard. Mayor Bloomberg said: "Even when New York City was struggling to recover from the last national recession, Starwood was very bullish about our future. Their investments here have turned out to be smart ones, because a record number of tourists are flocking to New York City, and now this renovation gives them one more reason to visit." Meanwhile, Povinelli added: "Our new landmark property will become a hub for both business and leisure travellers due to its prime location and the draw of the signature Westin experience."